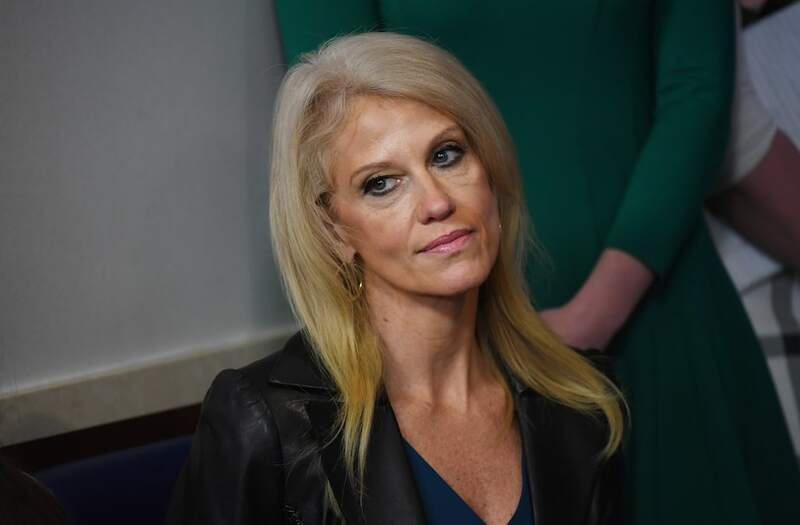 Donald Trump's ongoing feud with CNN took an interesting turn on Tuesday when senior White House counselor Kellyanne Conway admitted that the network is not "fake news," despite the president's constant attempts to discredit it. "I don't think CNN is fake news," Conway told Jake Tapper. "I think there are so many reports everywhere — in print, on TV, on radio, in conversation that are not well researched and are sometimes based on falseness." The Trump Administration had been feuding with CNN on a regular basis, referring to it as "fake news." The beef even made "Saturday Night Live," when a recent skit depicted a CNN reporter locked in a cage during the mock Sean Spicer press conference starring Melissa McCarthy. Tapper confronted Conway on a variety of potential falsehoods told by Trump, including the murder rate being at its highest in 47 years. Tapper called her out, pointing to constant "sprays of falsehoods" coming from the White House. On Monday, a CNN source told TheWrap that Conway has "credibility issues" but would appear on the network "at some point." She ended up appearing during Tuesday's 4 p.m. ET hour as part of "The Lead with Jake Tapper." Trump and members of his team have been increasingly combative with members of the press, referring to mainstream media as "the opposition party." According to CNN, the Trump administration offered Conway as an alternative to Vice President Mike Pence to appear on "State of the Union" with Jake Tapper last Sunday, but the network declined her appearance. Conway and CNN battled on Twitter over the situation, with Conway writing "False. I could do no live Sunday shows this week BC of family. Plus, I was invited onto CNN today & tomorrow. CNN Brass on those emails," with a link to a story about Conway not appearing on the network's Sunday political show. CNN communications fired back, writing, "‪@KellyannePolls‪ was offered to SOTU on Sunday by the White House. We passed. Those are the facts." Conway and Tapper appeared to play nice for the most part, but the CNN anchor appeared to be offended when he brought up Trump's recent comment that certain terror attacks aren't properly covered by the media.